The Cadent i8 defines simplicity. 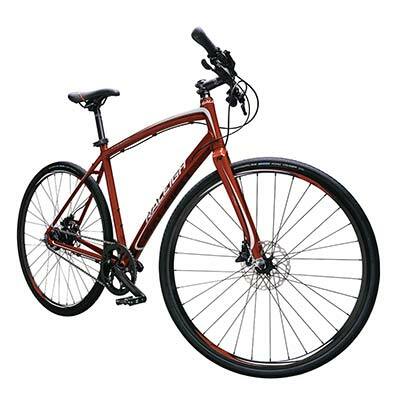 This low-maintenance, everyday sport bike is perfect for commuting, event rides and causal cruises. Silent, instant and precise 8-speed internal shifting means no cross-chaining, missed shifts or dropped chains. 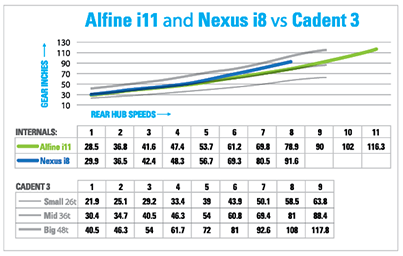 For 2014, the Cadent frame has received updated geometry resulting in better fit and feel. A slacker seat tube shifts the rider’s center of gravity further back, removing weight off the handlebar reducing strain on the wrists, elbows, neck and lower back. A narrower seatpost drops weight and makes for a more compliant and smoother ride. Finally, new ergonomically shaped grips displace the forces over a larger area of your hand, making the Cadent i8 even more enjoyable than previous years.